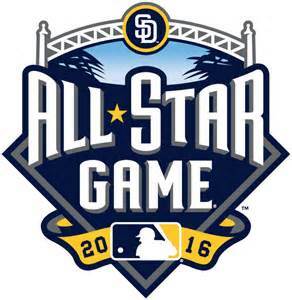 The MLB All-Star Game will be played tonight in San Diego. Here’s a look at 10 facts you may not know about MLB All-Star Game (ASG) MVPs since it was first awarded in 1962. Maury Wills was the first recipient of the ASG MVP in 1962. That was the same year that he was voted the National League MVP after batting .299 and stealing 104 bases. Five players have won the award twice: Gary Carter, Steve Garvey, Willie Mays, Cal Ripken, Jr., and Mike Trout. As the winner of the ASG MVP the last two years, Trout is the only player to win back-to-back honors. Ripken had the longest span in between awards… 10 years. Sixteen different players won the ASG MVP and are members of Baseball’s Hall of Fame: Roberto Alomar, Gary Carter, Ken Griffey, Jr., Juan Marichal, Pedro Martinez, Willie Mays, Willie McCovey, Joe Morgan, Tony Perez, Cal Ripken, Jr., Mike Piazza, Kirby Puckett, Brooks Robinson, Frank Robinson, Don Sutton and Carl Yastrzemski. The Baltimore Orioles and San Francisco Giants are tied for the most MVP awards with six. Cincinnati is next with five; the Red Sox and Angels have each had players win four ASG MVP awards. Outfielders have won 24 of the 55 ASG MVPs. Infielders have won 18, the battery combo of pitchers and catchers have won 13. The American League has the lead in MVPs with 28, one more than the N.L. Four players won the ASG MVP in their only ASG appearance: Melky Cabrera, J.D. Drew, LaMarr Hoyt and Bo Jackson. As mentioned above, Trout is the only player to win the award in back-to-back years. Teammates have won the award back-to-back twice: 1968-Mays, 1969-McCovey; 1977-Sutton, 1978-Garvey. There was no MVP awarded in 2002; that was the ASG played in Milwaukee that ended in a tie. Two players won the ASG MVP even though they played for the team that lost the game: Brooks Robinson in 1966 and Carl Yastrzemski in 1970.